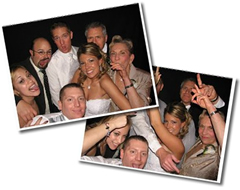 Awesome DJs has various packages for your wedding entertainment - including state of the art equipment and technology. From weddings to private parties and corporate gatherings, we take great efforts to please our clients and their guests. In fact, it's not unusual for us to book clients who come directly to us after seeing us at another event. With Awesome DJs you'll know exactly what you're getting. At each consultation we give you the opportunity to hear our various sound systems and see our lighting options. You not only hear, but experience the entertainment before your big day. A few days before your event we offer another meeting - a final chance to hear your music on our system and run through the full entertainment schedule. You know the music and the timeline. No surprises here. "They kept the dance floor full the whole night, and I do mean that literally. The best man came up to me at one point and made the comment that he'd never been to a wedding where the dance floor was full and active at the beginning of the evening before. We got nothing but comments from guests about how much fun our wedding was. It was the best wedding they'd ever been to, we kept hearing."